Have you already identified your leadership potential? That is what FLIGBY is designed for. FLIGBY is an exciting Game in which the player has to make 150+ decisions, applying the key ideas embodied in Csikszentmihalyi’s Flow concept and Flow-related value system. During the Game, the player receives continuous, individually tailored feedback, designed to guide her or him toward Flow-based managerial practices. The Game creates an environment that offers a new type of platform for observing management behavior. The player gets totally absorbed into the story indicated by the fact that the global average actual playing time is 7.5 hours. Since the player is completely unaware of how his or her decisions might affect the skill scores, the player unwittingly reveals his or her real self. This approach to testing skills is non-intrusive. In playing FLIGBY, each player can and will behave like he/she would in similar situations in real life; being true to himself/herself. 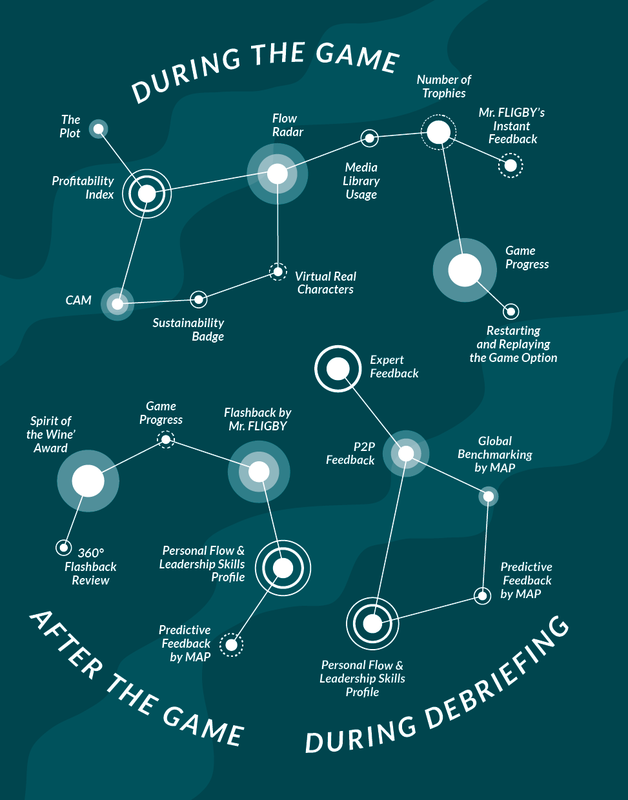 FLIGBY has a sophisticated leadership profiling mechanism: it measures 29 management/leadership competences. At the Game’s end, FLIGBY’s Master Analytics Profiler provides an individual report to each player on his/her skillset, with a range of benchmarking options available. This makes the Game an innovative leadership profiling and management development tool. Learn more about FLIGBY’s Multiple Feedback System!